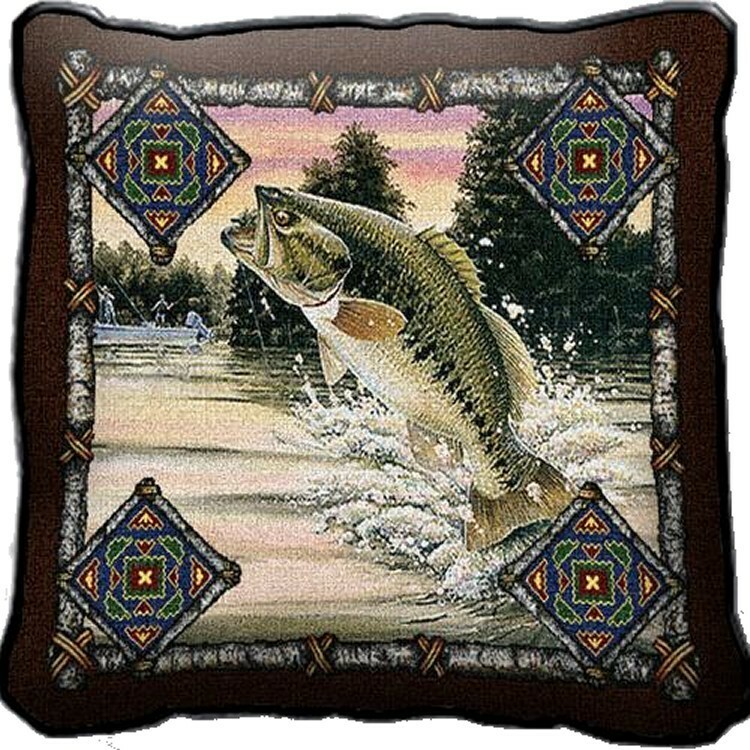 This lodge inspired pillow has lovely warm browns and greens. A large mouthed bass jumps out of the lake. This lodge inspired pillow has lovely warm browns and greens. A large mouthed bass jumps out of the lake. 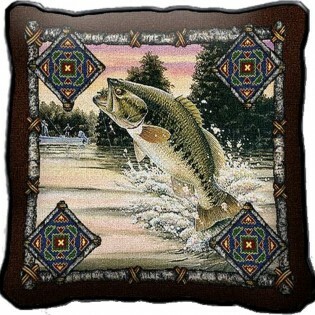 This rustic bass pillow measures 17" x 17". Ships in approx 5-7 business days.